A lively English village with a well-kept green. The inn, 400 years old, was once a hunting lodge for the Dukes of Devonshire; a rather smart pillared porch survives at the front. These days open-plan interiors are warmly contemporary with high ceilings, blond floorboards and fresh flowers everywhere. 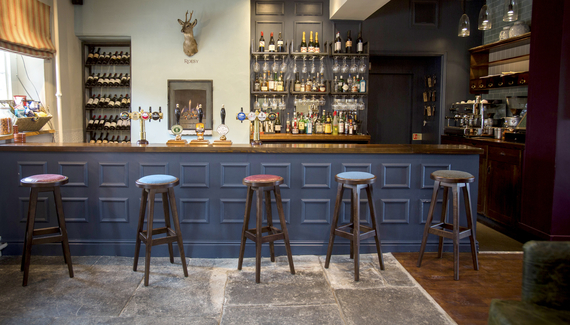 Hop onto brown leather stools at the bar and order a pint of Moor Revival, or sink into sofas in front of the fire and crack open a bottle of wine. In summer, life spills onto the terrace at the front, the courtyard at the back and the lawned garden beyond. 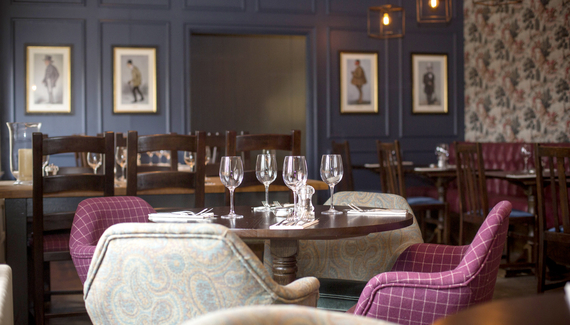 The hosts are engaging and the food's a joy; choose from ploughman's with homemade chutney or game burger and chips, linger over lamb rump with roast vegetables and puy lentils, dive into dark chocolate fondant. Then walk off your indulgence in style. "2nd time of staying here some five or so years apart and not disappointed. Comfortable and attractive rooms, interesting, good food and good choice of menu but especially very welcoming and pleasant staff. Excellent location for N.T houses and gardens-just the place for short holiday. Attractive veg and herb garden since last visit." "A wonderful stay, very many thanks. Gorgeous location, lovely accommodation, superb food (a busy dining room is always a good indication...); the Devonshire has a very homely feel. Look forward to visiting again." 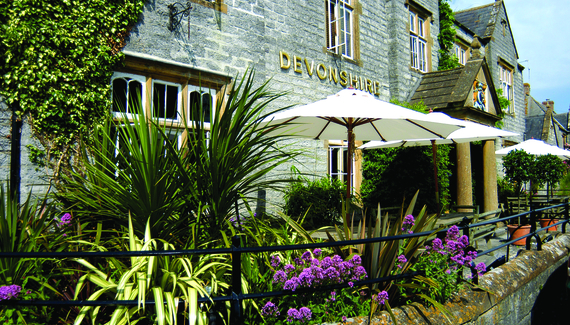 Have you visited The Devonshire Arms? Lunch from £6.95. Dinner £11.50-£18.95.